Mapusaurus is a 35-40 foot long, 3.5-6 ton carnivore from South America. 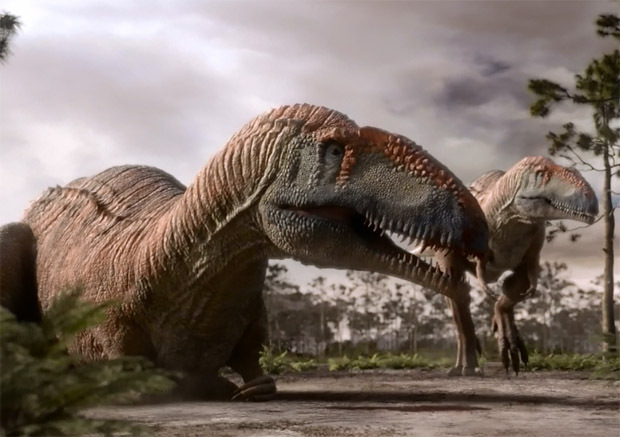 These dinosaurs, which were related to predators like Tyrannotitan and Giganotosaurus, were discovered together in what seemed to be a pack. Hunting in packs would allow them to take down larger prey like Argentinosaurus and Titanosaurus. They lived about 100 million years ago.